Picture two college freshman roommates: One decides he's going to enjoy college and worry about career planning during senior year. The other decides to make the tiniest of career development efforts and signs up for a weekly blog that automatically sends him career articles and advice by e-mail. Fast forward four years later... The first roommate has had a great time at school, but in the back of his mind has also had this nagging feeling that things aren't going to be great for much longer. He's talked to some of his older friends who are in their first jobs out of college and has concluded that ‘work' is an ugly 4-letter word. He's not that motivated to get his resume together because he doesn't know what to put on it. And, after only one visit to the career center, is feeling some panic about the fact that he really doesn't know what he wants to do after graduation. The fact that he's just spent more than 60K on an education is weighing on him as well. He spends second semester senior year in a mad rush to trying to learn what it takes to get a job that will impress everyone, but is feeling less confident by the day as he realizes his professional skills are lacking compared to many of his peers. The second roommate has a different story. He's had a great time in college too, but, he also managed to read the career blog advice weekly and gained some valuable insight and perspective on how to take control of his professional future while still in school. It helped him choose what courses to take, and eventually, what to major in. It also inspired him to look for an internship after freshman year and he proceeded to work in internships throughout his time in college. He learned how to craft a good resume and how to network so he could set up some informational interviews that netted him some valuable professional contacts. By second semester senior year, he's been offered a job with one of the companies he interned at with a salary that is 20% higher than the national average for college grads. Not to mention, he feels confident in his ability to develop his career after college. So... which roommate would you rather be? I wrote a post last spring when I learned that blogs were considered unworthy of reading amongst the college set. I was shocked. College students are a tech savvy group who understand the power of communication tools. As a result of this discovery, we even discussed the pros and cons of not calling this site a blog. However, we opted to keep the term blog. Here's why: Corporate America is very frustrated with lack of professional knowledge college grads have upon entering their workplace - and they aren't being shy about letting everyone know how disappointed they are with today's young professionals. At the same time, grads are feeling as if buckets of cold water are being thrown at them by Corporate America. For them, the transition from professional student to professional is a much bigger and harder process than they expected. How can this situation be reconciled? 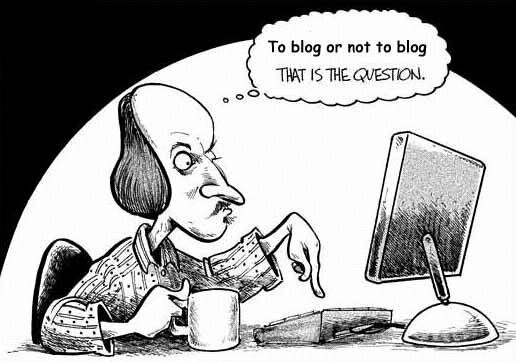 Blogs. The power of blogs is enormous when it comes to getting better educated on a subject. Your perspective and knowledge of a situation can be enhanced in as little as 15 minutes a day by reading blogs. Especially, if you choose blogs that are both well-written and designed for easy navigation. So, if you are a college student or recent grad who wants to gain a competitive edge in the world of work, here are three examples of blogs (I'm hoping you've already decided to subscribe to www.workitdaily.com in the upper right-side of this site as a result of this post) that can help: The Work Buzz - Careerbuilder.com's newly renovated workplace blog is easy-to-read and the perfect way to get acquainted with blogging. The content is fresh and the site navigation is simple. Kudos to their team for one of the cleanest formats I've seen. Brazen Careerist - Showcases a huge crew (200+) of 20-something bloggers, making it one of the most comprehensive on the web. Career Journal - The Wall St. Journal's career blog is a good read simply because their newspaper is standard reading material for most executives. The advice is always solid and takes into consideration management's viewpoints - a great way for you to learn how to start managing up. Now, here's my disclaimer: too much of a good thing is not healthy. The key is to not go crazy with blog reading. Yes, you could subscribe to 50 blogs, but you'd end up tired, bleary-eyed and overwhelmed. Instead, I suggest you find no more than five that you find interesting and credible. Then, carve out time every week to read them, and identify an action or two you plan to take as a result of what you learned. If over time you find one of them isn't providing as much value to your development, drop it and find a new one. This concept of learning in small doses has a great success rate. Besides, not only is this manageable, it's free - so no excuses! If you want to make sure that your college degree is worth the time and money spent on getting it, start investing in your professional development via blog reading. J.T. O'Donnell is a career strategy and workplace consultant.